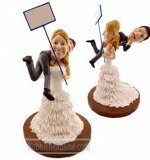 Custom bobbleheads depict a bride drags her groom's tie at the balloon wedding theme. 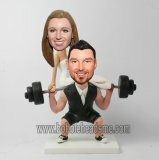 The custom bobbleehad groom is in black hands on waist willing to be dragged by his queen. 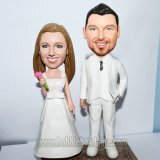 The pure custom bobblehead bride is in ivory strapless wedding dress,details like the ornament on her dress,the watch on her right arm and the laklace around her neck. 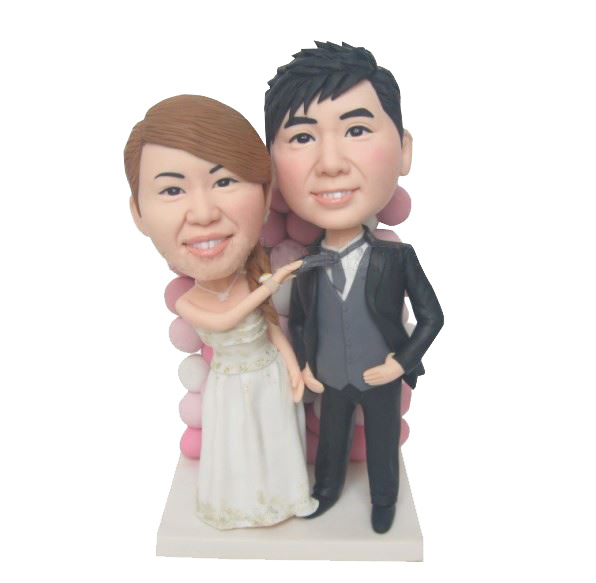 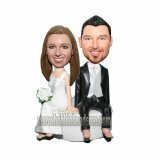 It's a great idea for custom wedding cake topper,Just upload your photos and let the our professional artists do the rest.